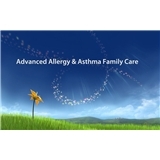 Advanced Allergy & Asthma Family Care (Staten Island) - Book Appointment Online! Dr. Neha Madhok Bhambri and her team are committed to providing the highest quality allergy, asthma & immunology care for your entire family. We take care of patients of all ages and have been serving the Staten Island community since 1980. Please note, we practice NEEDLE FREE allergy testing.